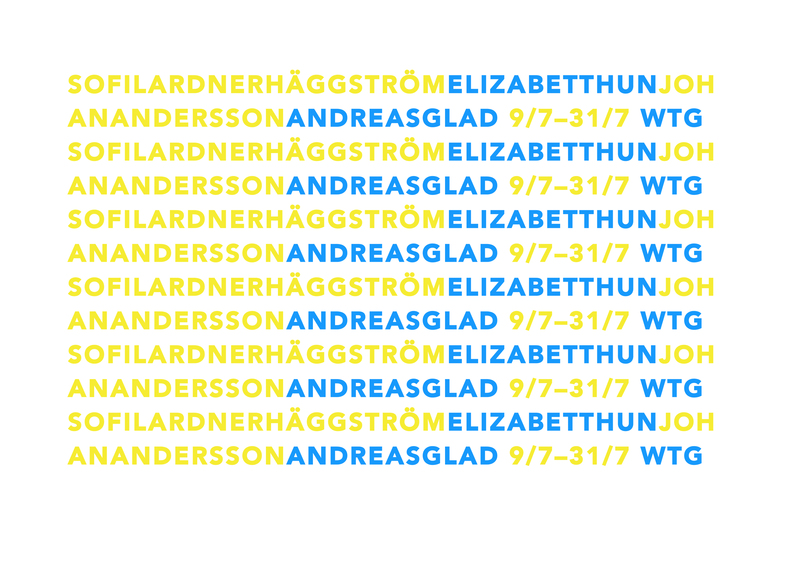 Wadström Tönnheim Gallery presents the group exhibition Skåne / Stockholm consisting of figurative painting from the participating artists Johan Andersson, Andreas Glad, Sofi Lardner Häggström and Elizabet Thun. The exhibition deals with themes of identity and origin, as well as inclusion and exclusion. Opening is on Saturday 9th July 12-16 at Wadström Tönnheim Gallery in Skanörs Hantverksby, Falsterbovägen 32. The exhibition runs until Sunday 31th of July. Regular opening hours are Fridays 13-17 and Saturday & Sunday 12-16.